Meall a’Bhuachaille and The Pap of Glencoe. Two days annual leave had been booked for months and grand plans had been hatched in those 8 weeks…. 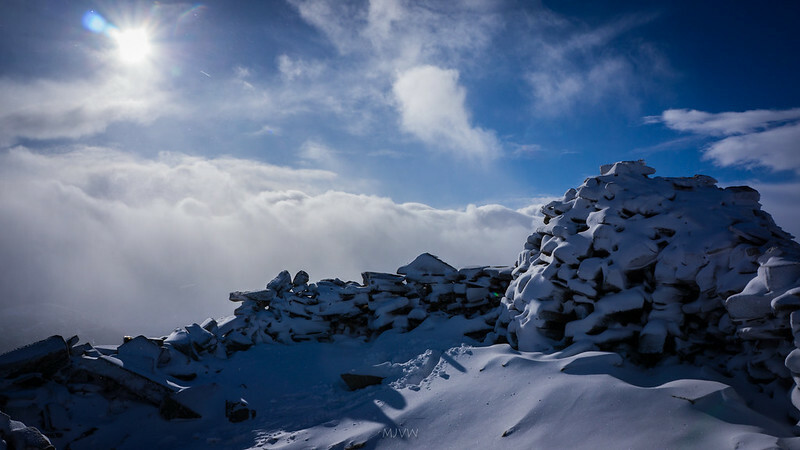 Plans that included blue skies, high pressure systems, rock hard neve and green ice….. Classic winter routes and climbs had been poured over and researched, hours of fun! … however when the time came we were lucky to reach the mountains at all! Monday morning and we set off north along the A9. By Dunked the road was white and the snow was drifting in the gales and it was getting progressively worse the further we got. We headed almost due North through the forest and were rewarded with some blue skies when we reached the edge of the trees. This lifted our moods a little although the winds were still howling. The spindrift leaving the peaks was impressive and for now we were virtually being blown up the hill!! This changed as we reached the Bealach and had to turn west. The wind was now blowing us side ways and we were fighting to stay up right at times!! Blowy indeed! 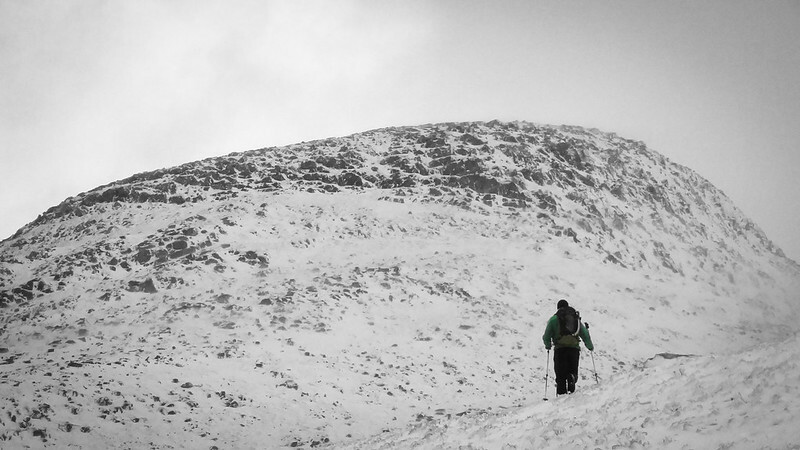 The summit was reached before the next blizzard set in and we quickly set our sights on Ryvoan for some shelter. A windy descent and we soon reached Ryvoan. On entering about 20 pairs of eyes greeted us – it was a busy little bothy today. A number of parties came and went whilst we gathered ourselves and decided what to do tomorrow- should we head home due to bad weather?? 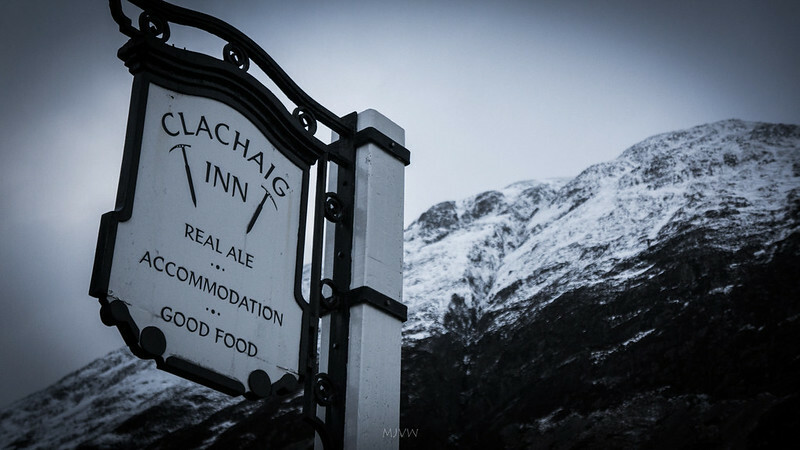 We decided to head west and stay a night in the Clachaig Inn. 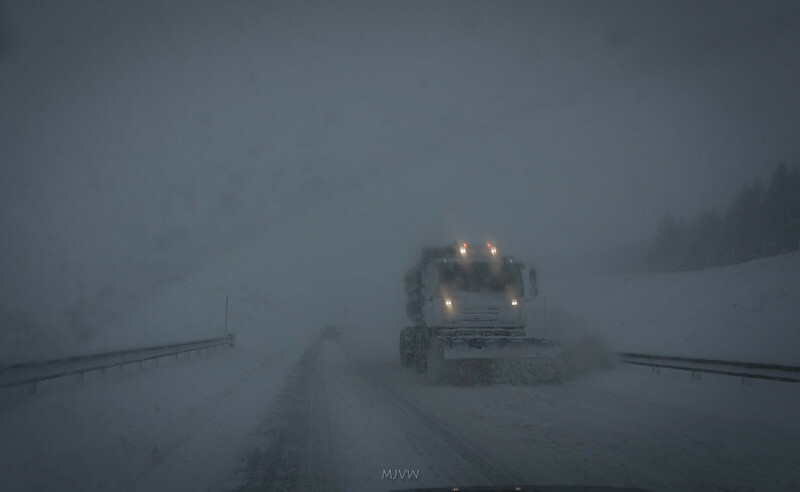 A few roads were closed which meant some diversions to get to Glencoe but we eventually reached the Clachaig and had a quick scouting mission for the next day. Heavy snow and high winds were forecast again so we had a few drinks and a good nights sleep before deciding to tackle what is usually a nice easy hike, The Pap of Glencoe. 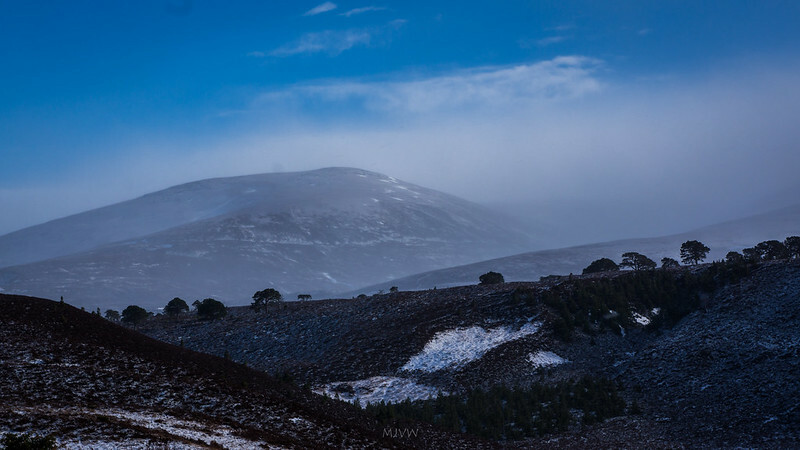 The snow level was about 150m and the weather wasn’t too bad on the lower slopes although there were some real hefty showers rolling about and the blizzards came and went. Higher up the wind kicked in again although not as bad as in the Cairngorms the day before it was still gale force. We got our crampons out and ice axes at the ready and chose a steep runnel / mixed route up the final steep dome of the Pap. Finally a little bit of sport. Didn’t stay long on the summit and we had some fun descending the deep snow. Back to the car and we headed home on roads that were much better than the day before. Enjoyed seeing conditions at the top from the comfort of home! Fantastic wee film. Really enjoyed this report, film and pictures.